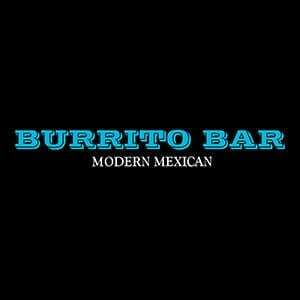 Burrito Bar Franchising Corporation Pty Ltd A.C.N. 166 330 294 is the franchisor of the Burrito Bar franchise system in Australia (collectively referred to as “Burrito Bar”, “we”, “us” or “our”). We are committed to protecting the privacy of personal information in accordance with Australian privacy laws. We will only collect personal information from you that we reasonably require for one or more of our business functions or activities, and will do so by lawful and fair means. If you are applying to become a Burrito Bar franchisee, we will collect information as outlined in the section below entitled “Franchise Applications”. With the exception of when you apply for a position with Burrito Bar or to become a franchisee, we will not collect sensitive information about you (such as information about your racial or ethnic origins or political or religious beliefs) unless you have consented to such collection or the collection is required by law. We take reasonable steps to protect your personal information from loss or unauthorised access. Unfortunately, no data transmission over the Internet can be guaranteed as totally secure. Accordingly, although we strive to protect such information, we do not warrant the security of any information you transmit to us or from our online services and you use these services at your own risk. providing information that you request about our franchises and processing and considering your franchise application and conducting record checks (refer to Franchise Application section below). At the point we collect information from you, you may be asked to “opt in” to consent to us using or disclosing your personal information. You will generally be given the opportunity to “opt out” from receiving communications from us. You may “opt out” from receiving these communications by clicking on an unsubscribe link at the end of an email or by contacting us with this request. In considering your application, we may also obtain personal information about you from third parties, for example, from your previous employers or nominated referees. Subject to your consent, we may also collect sensitive information about you such as information about your health (including any disability) or any criminal record you may have. Generally, the type of information we collect about franchise applicants is the information included on the Burrito Bar franchise application form and/or the expression of interest form, for example, your name, postal address, telephone number, email address, education details, residency status, employment history, financial capacity and other information relating to your qualifications and experience. In considering your application, we may also obtain personal information about you from third parties, for example, from your previous employers or nominated referees. Subject to your consent, we may also collect sensitive information about you such as information about any criminal record you may have or your membership of any professional or trade association. storing your information for future Burrito Bar franchise opportunities.